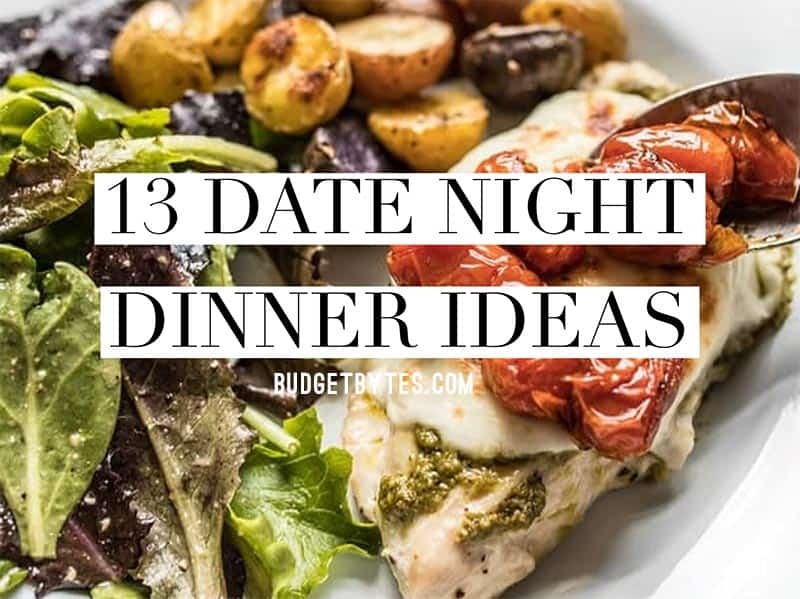 What Makes a Great Date Night Dinner"
My criteria for these Date Night Dinner Ideas is that they be at least a little bit fancy (no hamburger helper style meals here), but still very easy. Because while you want to make a really awesome meal, you don’t want it to be so complicated that you can’t have fun or interact with your partner. ;) I kept the sides simple, again to reduce stress, but you can always add more when your skills improve!